Steve Lindell wrote to let me know he suspected that the first insect was not a carrion bug. He is right. I looked at Kaufman Field Guide to Nature of New England to identify. 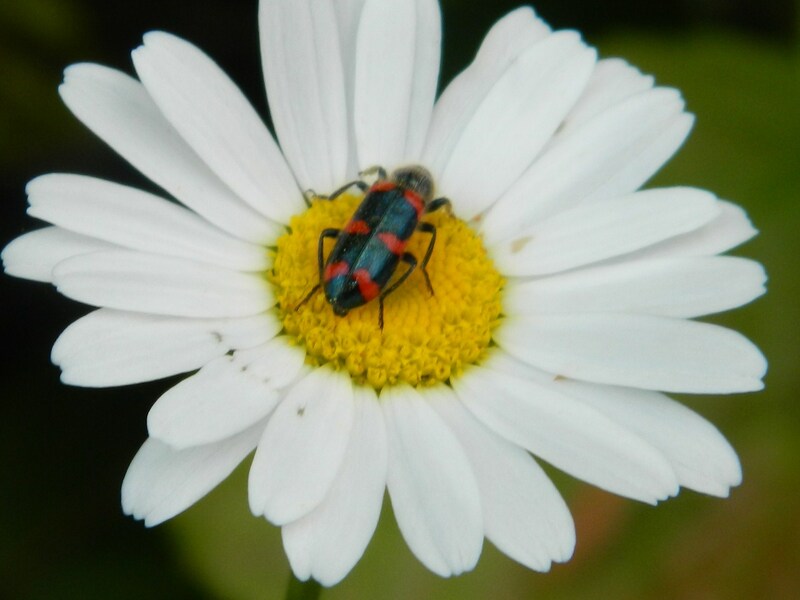 Turns out the bug, on Shasta daisy, is a large milkweed bug. The camouflage has striking colors of red and black, indicating that it might be a predator and for other insects and birds to stay away. If you know the names Latin and common, please respond. Citizen scientists need assistance from professional entomologists, biologists and other citizen scientists. I will be happy to share credit with those who help me identify species. I am thrilled to have her assistance in identifying the two mystery moth species. Thank you Tonya. 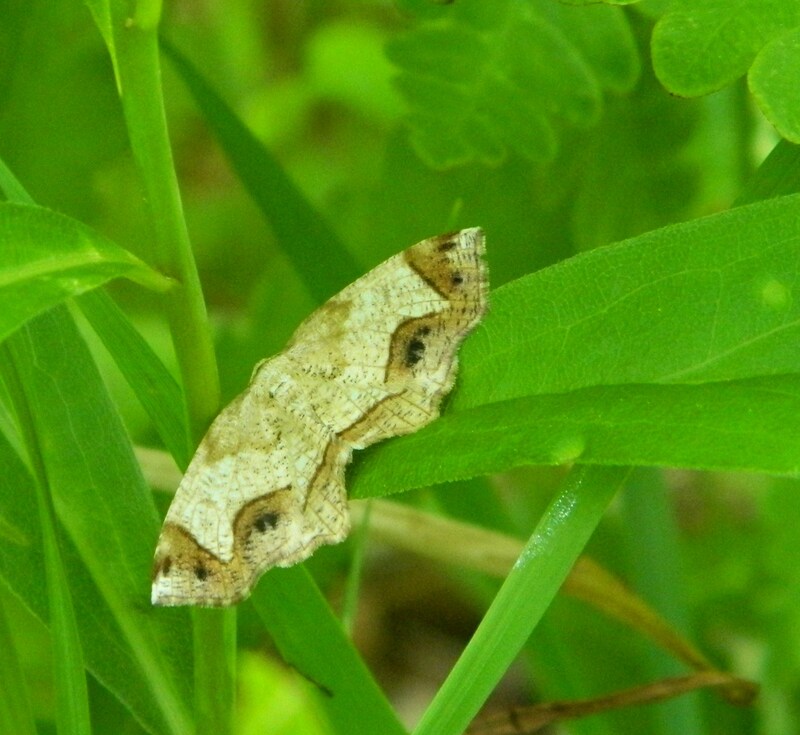 Xanthotype urticaria (Geometridae) is last moth photo identified by Tonya Treichel Albers. 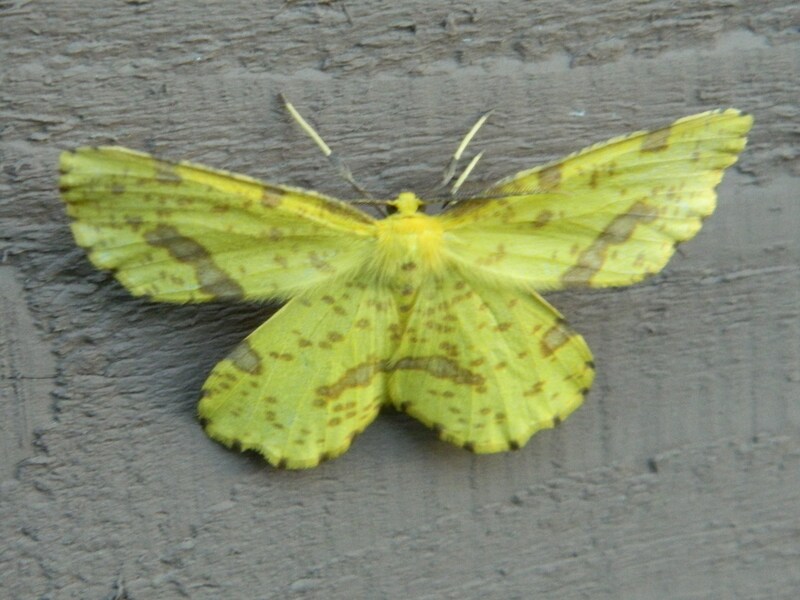 the common name for this moth is false crocus geometer.